Christopher Columbus and his fellow explorers inspired generations of Britons to explore the world - yet the vast majority are unclear which routes they actually took. Research from Expedia reveals 88% rank the Italian as the greatest explorer to ever grace the world's oceans. A staggering 70%, however, incorrectly named where he had gone. Around 40% even believed he was a Brit. Some 17% of those polled credited him with Ferdinand Magellan's circumnavigation of the earth, while 13% thought he was responsible for Sir Walter Raleigh's actions of bringing tobacco and potatoes to our shores. A further 11% believed he had completed the second circumnavigation of the world, an accolade that actually belongs to Sir Francis Drake. 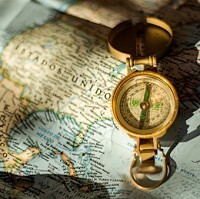 To celebrate the spirit of discovery, and perhaps broaden the knowledge of a number of Brits, Expedia is on the lookout for The Modern Explorer to test how these great journeys of yesteryear would differ with the power of today's technology. The competition will mean one lucky person will be given the chance to re-live Vasco Da Gama's discovery of a new sea route for the spice trade with Asia. Beginning in Lisbon, Portugal, they will take to the high seas and travel through the Canary Islands, round the Cape of Good Hope and up to Mozambique, before finally finishing their epic journey in Goa. As well as the great explorers, some of the top British inspirations to explore the world include TV shows with David Attenborough, Michael Palin, Rick Stein and Bear Grylls. Whether you're embarking on an epic voyage to all four corners of the world, or simply sunning yourself on a beach somewhere for a week or two, worldwide travel insurance is something you shouldn't leave home without. The peace of mind insurance brings is something the great explorers of the past never had the chance to discover.